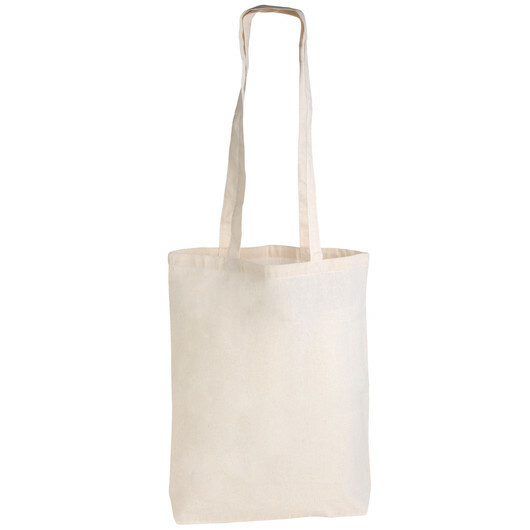 A long handle cotton tote bag that you can use for shopping, holding books and more! You will love these express production double long handle calico tote bags. They're eco friendly and can be used over and over again to reduce the use of plastic bags! 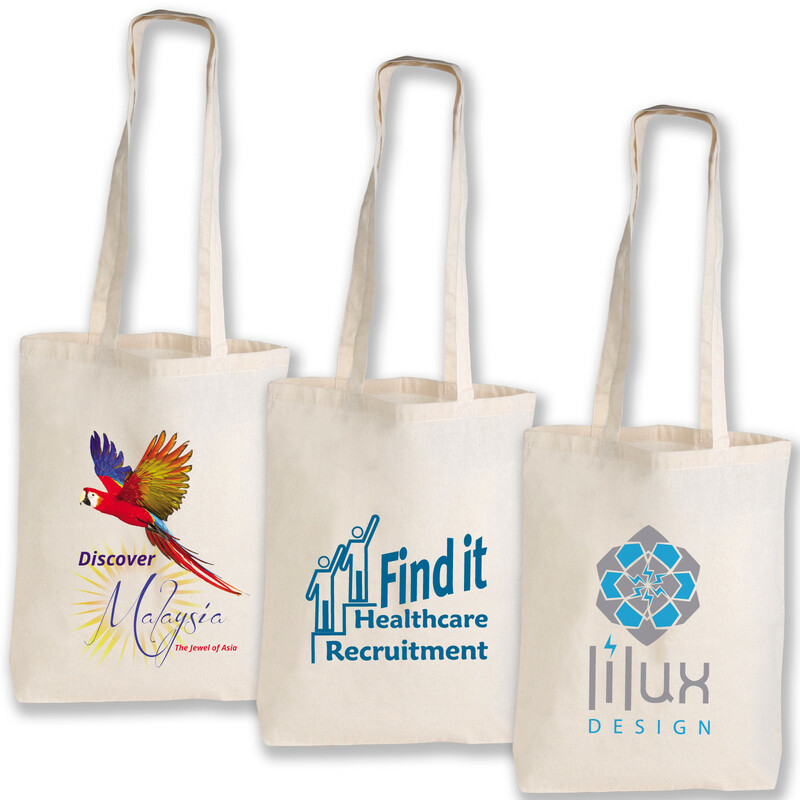 They're simple, stylish and have a great area to promote your logo.